"We're not critics. We're professional fan-girls." --- This blog is dedicated to movies and the entertainment industry. We use random selection to bring into light the best and worst of Netflix and off various columns highlighting new movies as well. Through “This Week in Crowdfunding,” you’ll find five of the best projects Trust the Dice found hosted on crowdfunding sights this week. These are Films/Web Series’/Shows of varying lengths and genres that we believe in. If you like any of the projects you see here, donate to them, tell your friends, and/or post it on social media. These projects don’t just need money, they need people to care and spread the word that they exist. Support creativity. Support indie artists. Remember that every actor, director, writer, and movie you have ever fallen in love with had to start somewhere. 5 – Why is there no fifth project? Sometimes, crowdfunding doesn't work out. It's a sad fact, but it's true. One expects that there will be times that projects don't meet their goal. However, it's a little more shocking when the project fails before the end date. That was the case with one of the projects I chose for this week. Not even an entire 24 hours passed between when the person involved opted to respond to my request for information and the moment when they pulled their project from Kickstarter. They made no mention of the possibility that their project might be on the brink in their interview, either. I can't explain what happened - if someone dropped out, or they decided not to go the indie route... that information was not offered to me. I didn't ask. Sometimes that just happens. The best way to protect yourself from those issues, is by paying close attention to the campaign. If a page isn't laid out well, with a breakdown of how your money will be spent and the risks - along with solutions - of filming, then you usually want to move along. It's great for a director/writer to know what they want and to have a good proposal, but it's also important that they have the business aspects down pat as well. If you don't know where your money is going, don't give it to them. If they don't have a plan b for any issues that occur, then anything can go wrong. Be vigilant. That's the best thing you can do. Current Standing (as of Saturday night): $510 raised by 10 backers. This film is a little different than the majority of the projects I choose for the top five. It didn’t make the list by default, however, it beat several other projects for the spot. It’s easy to underestimate a film sporting such a goofy title. When I was going through the various projects shown on Indiegogo for the week, I certainly did. I had no doubt I’d be watching just a couple of seconds of the trailer and moving on. Instead, I wound up laughing like a hyena in the middle of Subway. I recommend it. The weird looks you get, alone, are worth it. 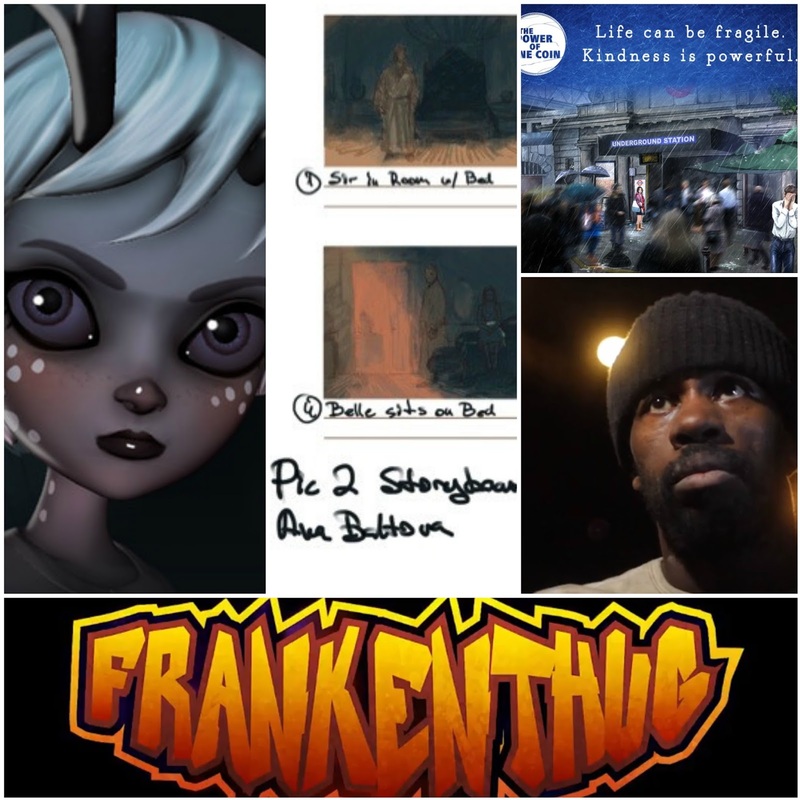 FrankenThug was filmed in two weeks with a budget of $5,000. It’s definitely meant to be a B-type film, but it does so gloriously. It’s got the camp and humor that you expect from a movie you want to turn your brain off for and just have fun with. That makes sense, because the director has got B-horror in his heart. From what I can tell, FrankenThug is a fun, incredibly weird, film specifically made for people who love camp. It’s worth giving a serious look if that’s your thing. For a sample of Richard Tanner’s writing, before you donate, you can purchase “The Thin Veil of Sanity and Other Stories: A Cthulhu Mythos” from Amazon. Lowest Fund Reward: $1 – No longer a Buck Short – For a dollar, we will be forever thankful! Bucks add up! Highest Fund Reward: $1,000 – Hey, Hollywood! – At this level, we owe you everything! We will graciously give you executive producer credits on FrankenThug and a very special fruit basket! Also, we will be more than happy to personalize this perk for you in any way that you want (within reason… we are fragile!). All other perks are included! Current Standing (as of Saturday night): $760 raised by 9 backers. More than once, Trust the Dice has spoken out about human trafficking. It’s a significant issue that’s growing due to the rampant violence and injustice in the world. Recently, more than 70 children went missing from foster care in Kansas. It was difficult to not instantly wonder if trafficking was involved. Whether or not it was, the fact that those children went missing for so long before anyone even noticed… it shows just how big a problem there is. Beautified is a little different than the other projects on the subject that I’ve supported before. It’s not a documentary. This is a dystopian-style story involving three innocent girls that find themselves in a dark and terrible situation. Not much is known about the film yet, since Haigh is still auditioning other actors at the moment, but the Indiegogo page is laid out well and is clear about where exactly your money will go. Documentaries are good, but telling a horrific tale through the scope of a fictional film is sometimes the best way to get people to understand. Lowest Fund Reward: $5 – Smile – You’ve but a smile on our faces and we wish to put one on yours with a social media shoutout. Highest Fund Reward: $2,000 – Botox – Become an EXECUTIVE PRODUCER! You’ll receive an Executive Producer credit on IMDb and your name will appear in our end of film credits! You’ll also receive TWO TICKETS to our London screening. Please note dates may vary and you will need to cover your own transport/accommodation. Current Standing (as of Saturday night): $5,717 raised by 73 backers. This is another project that covers an important subject, but takes a fictional stance with it. Depression and the power of kindness are subjects that sit very deep in my heart. When I was in high school, I lost two friends to suicide… and depression has since been a common recurrence in my life since. Aside from my own battles, I’ve met many people that have dealt with it. Along the lines of what The Power of One Coin is about, I have a story from my own life. Me and my best friend are night owls. When I lived with my mom, however, that was a problem. My mother was always an early to bed, early to rise type. That meant no one was in the house past six at night, which is normally when my head stops being foggy. So, me and my buddy would go hang out at the nearby Dunkin Donuts and play a card game called Magic: the Gathering. We got a lot of weird comments and questions, but it was the only place we had the option of hanging out… and it was one of our favorite activities. One day, a young guy saw us playing and paused by our table to watch. We asked him if he wanted to join us, and let him use one of our decks. It was a random act. He was a little younger than us, alone, and seemed interested in the game. I’m not the most outgoing person in the world, but I just stepped out of my comfort zone a bit that night. He turned out to be a really great player. It also turned out that he was planning to kill himself that night and wound up not going through with it because he made some new friends. He’s married now and has moved out of the country, but I think about him a lot. That night we made a difference to someone with our silly little card game and weird sleep schedules. The idea that a small, random act of kindness can change a life… is one that I understand. And, having experienced it, I know that there’s a lot of truth behind what this short film is trying to teach. It’s important to note that a small act of kindness can affect anyone, not just those suffering from depression. According to producer Zbigniew Siwek, this film will also focus on other mental illness issues, such as: dementia, OCD, anxiety, and PTSD. 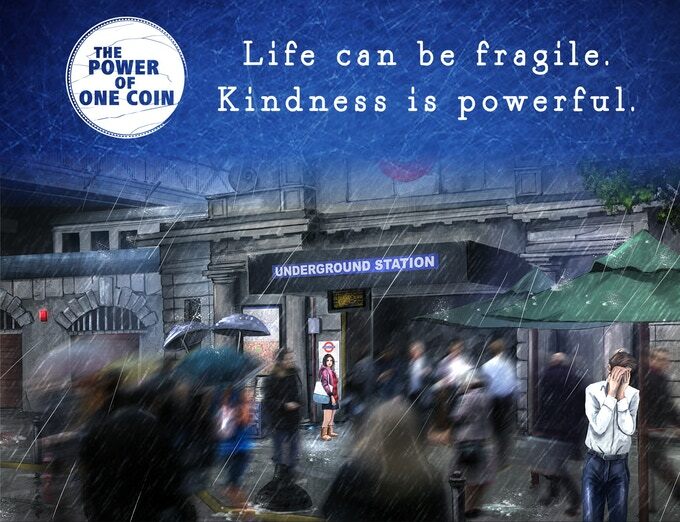 As a project, in general, The Power of One Coin has the ability to truly succeed. They’re working closely with a Kickstarter expert, Justin Giddings, that has helped other projects go from troubled to funded, very quickly. Some of his former projects include: The Alley, Holiday Hostage, This is Normal and Cujo: The Smart Way to Fight Home Hacking. The Power of One Coin is asking for a lot of money for a short film, but their message is an important one and they have a lot of great help. Not to mention, they are going with an ‘all or nothing’ kind of goal, so there’s less risk involved when donating. Lowest Fund Reward: $13 – The Thank You Coin – We’re so glad that you’re here to support the film so we’d like to give you the thank you coin which will give you the power to be famous across all of our social media via a huge thank you shout out from the team! Highest Fund Reward: $2,613 – Executive Producer Package – You put some serious coins into this project and we could not be happier to have you on board our team. We’d like to give you a coin that will not only make you an Executive Producer but also give you all the perks that go along with it! Your company’s logo featured at the end of the film and in promotional materials, you will be an official sponsor of the film. This of course comes along with all the perks of the Co-Producer! Current Standing (as of Saturday night): $15,970 raised by 89 backers. By the end of the first eleven seconds of this project’s trailer (different trailer than what’s featured above), I was hooked. It was such a simple beginning. Simple sounds. Simple imagery. But it was so well done that I was instantly wondering about the main character. When I go through Kickstarter and Indiegogo for these articles, I always watch the trailer without having read anything else on the page. I don’t even always know the name of the project before-hand. I do that because the majority of people surfing these sites are doing just that: casually surfing. There’s no guarantee they’re going to donate anywhere, and they’ll often just watch the trailer and move on if it’s not eye catching. This particular film does not have that kind of problem. After watching the trailer, I was hungry to know so much more about the project. I was shocked to learn that I Am Maurice was written by two comedians, but writer Wil Sylvince had a very good point about why I shouldn’t have been. After some thought, that made a lot of sense. Even the greats, like George Carlin, had jokes rooted in the serious dramas that took place in his live, and throughout the world. 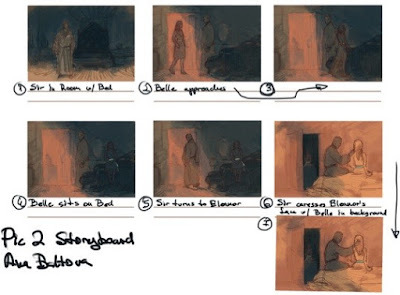 Reading Sylvince’s response to my questions put the rest of his Kickstarter campaign into a different light for me, and an image of what to expect of the film manifested much clearer. I’m absolutely certain that I Am Maurice has everything it needs to be a great film. The story is interesting, there are incredibly talented people involved, there’s an insane amount of passion, and it carries an important message with it for anyone who watches. To show my confidence in this film, I have donated a small amount toward it’s hopeful success. Lowest Fund Reward: $5 – Updates & Behind the Scenes Access – We’re pretty sure $5 donations is how Obama got elected, so are hoping it works for us as well, but we’re filmmakers, not politicians. For $5 we’ll send you regular updates and behind-the-scenes news throughout the fundraising and movie making process! Highest Fund Reward: $10,000 – “I Am Maurice” Co-Producer – Get a credit in the film as a co-producer! Shazam! (2019): Lightning in a Bottle?